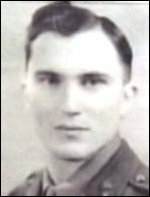 Davidovich, Stephen [Степан Давидович] – civil servant, active in community and political affairs; born on 11 January 1913 in Stry, Smoky Lake County, Alberta, Canada; died on 18 April 1987 in Canada. Davidovich spent his formative years in Canada where he became active in the Ukrainian community. He subsequently moved to the USA where he obtained a degree from Michigan University and worked for a number of years in the field of industrial management in Passaic, near New York. While in the USA, he joined the Organization for the Rebirth of Ukraine (ODVU) which was founded in New York in 1931 by the Organisation of Ukrainian Nationalists (OUN). In 1937 he accepted a proposal from the OUN leadership to become its representative in London and resume the activities undertaken there by Eugene Lachowitch in 1933-1935. For almost a year before coming to the UK he underwent a period of preparation for the assignment, mainly in Geneva. On arriving in London in 1938, for several months he assisted with the work of the Ukrainian Bureau which had been in existence since 1931. In the spring of 1939 he established a separate Ukrainian National Information Service (UNIS). He edited the Ukrainian Bulletin which was published by the UNIS and wrote articles for British journals such as Free Europe and Contemporary Russia (the latter was edited by Lancelot Lawton, one of the members of the Anglo-Ukrainian Committee founded in 1935). Davidovich’s activities were aimed at increasing support for the Ukrainian cause in Britain and his various contacts included government officials and journalists. Shortly after the closure of the UNIS in the autumn of 1941, Davidovich enlisted in the Canadian Army based in the UK, and by the end of the Second World War he held the rank of captain. He became a member of the Ukrainian Canadian Servicemen’s Association and was associated with the Central Ukrainian Relief Bureau. After the war Davidovich returned to Canada and became involved in the cultural integration of immigrants, working initially for the Canadian Citizenship Branch of the Department of Citizenship and Immigration. In about 1948 he moved to the Community Programmes Branch of the Ontario Education Department and subsequently became its director. From 1961 he worked for the Ontario provincial government’s Citizenship Division.